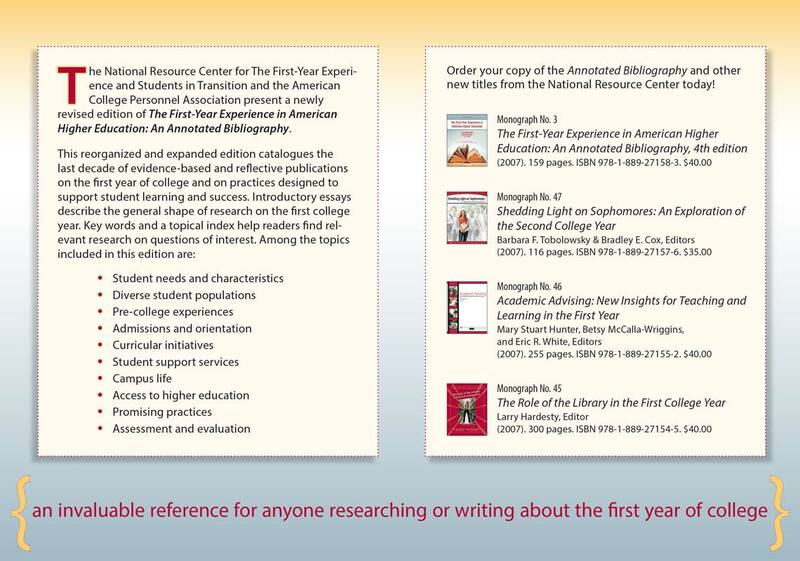 The National Resource Center produces THE definitive annotated bibliography on the first-year experience in American higher education. 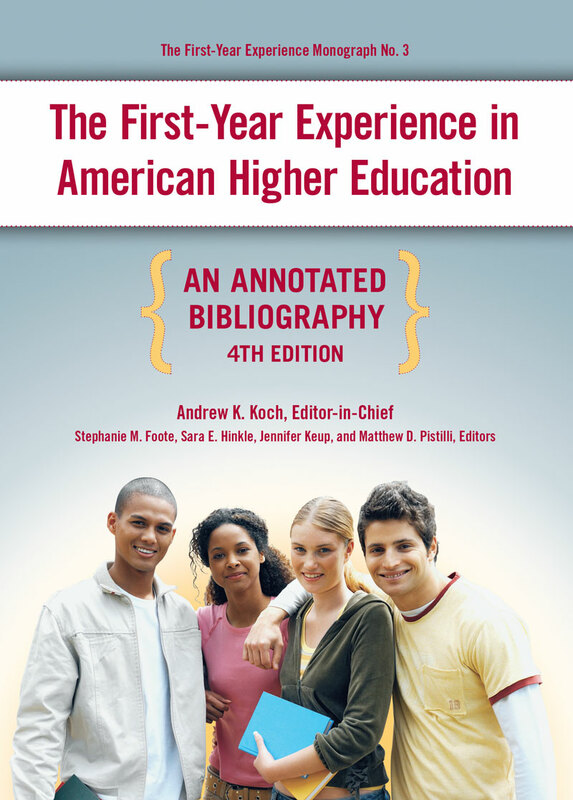 This book is a list of citations which informs the reader of the relevance, accuracy, and quality of the sources cited. 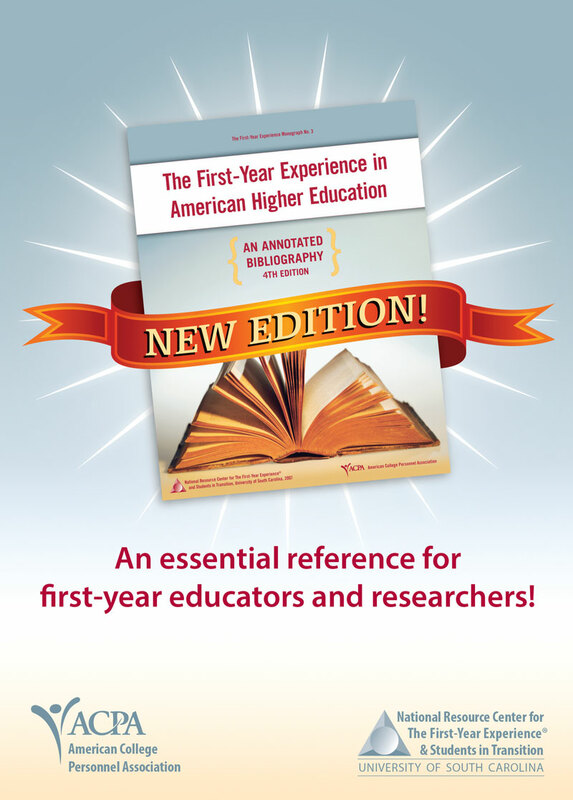 A must-have for researchers in higher education transition. 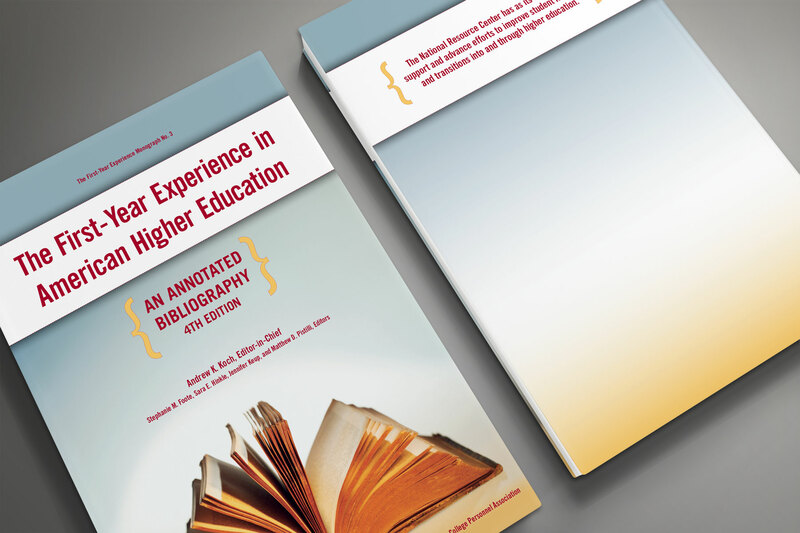 USC hired Evergreen Design Studio to design the book cover and lay out the inside. Create an accessible, easy-to-use resource to enhance research and publications in the higher education field. 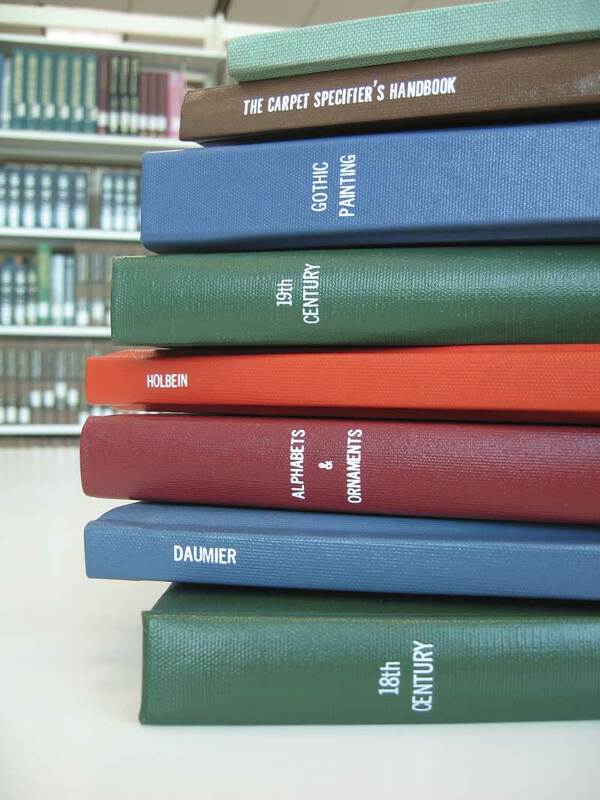 Sell a certain amount of books to cover the project costs and future research and publication endeavors. 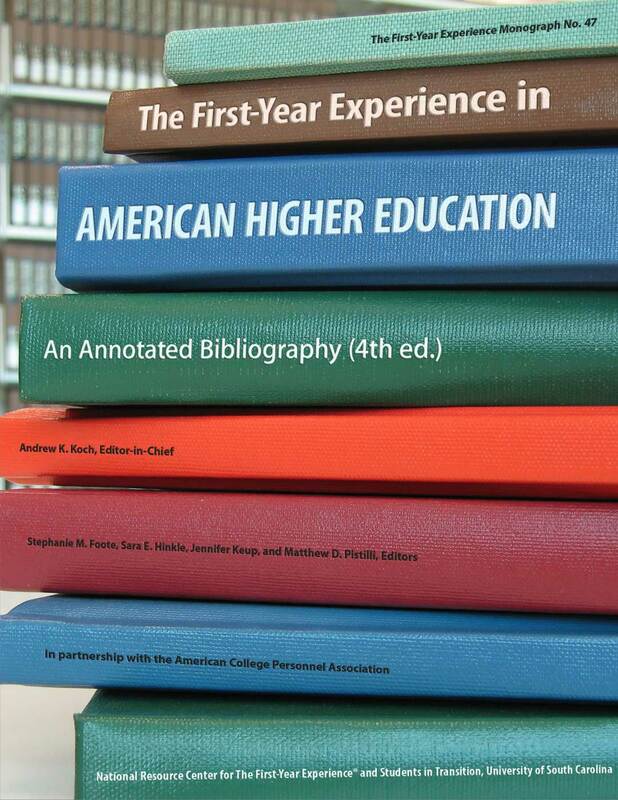 An annotated bibliography is basically a book of a list of books with descriptions. I thought it would be neat to illustrate that concept on the cover by incorporating the image of a book. I went to the library and took a ton of photos of many different types of books in many different arrangements – new books, old books, tall books, fat books. I cut them out and placed them in many different settings, I changed the titles on the spine to be the title of the annotated bibliography. All of these ideas were good, but when I started playing with the concept of an open book, everything came together. 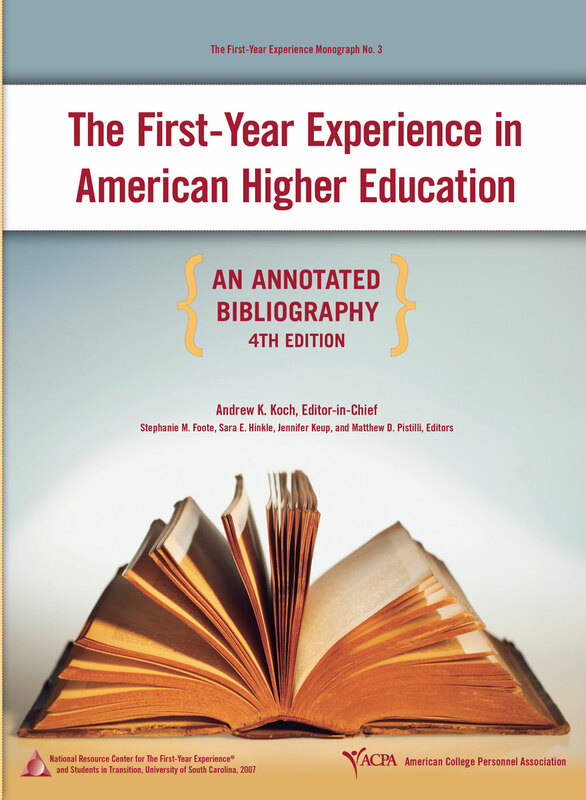 The purpose of the bibliography is not to just stack a bunch of books on someone’s desk, it’s to inspire learning and more research, which happens through opening and reading the books that are listed inside. The open book image is reminiscent of a sun on the horizon, and the concept of dawn furthers the idea of learning, so I chose a rising sun color scheme. Click on the photo to open a gallery and see part of my creative process. Designing the inside of a book consisting entirely of long entries of text might seem boring in the world of design where you expect exciting colors and textures, but design is not just about decoration. Design is used to visually organize information so that it is functional and easy to consume (or difficult, depending on the project goals). The inside of a book is the perfect example of this. 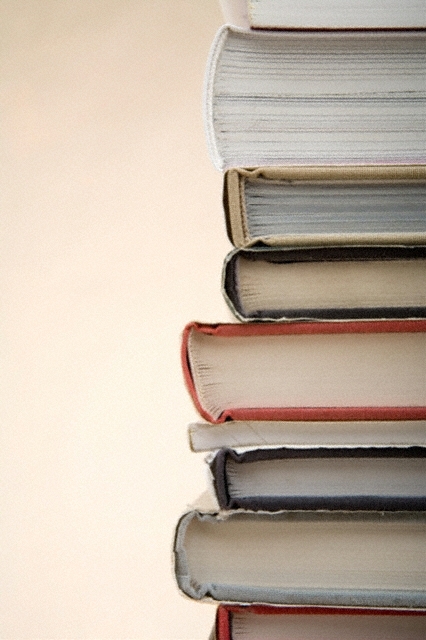 The reader should be able to quickly scan a table of contents and flip to where they want to go. They should be able to read the text without any strain, and ideally not even think about the layout at all. In this book, I introduced graphic elements on the section and chapter pages that tied the inside layout to the cover and total concept, but ultimately the main text is what has received the most design treatment here because it is the most important element needed to function in order for the project to succeed. Click on the photo to open a gallery and peek inside the book. 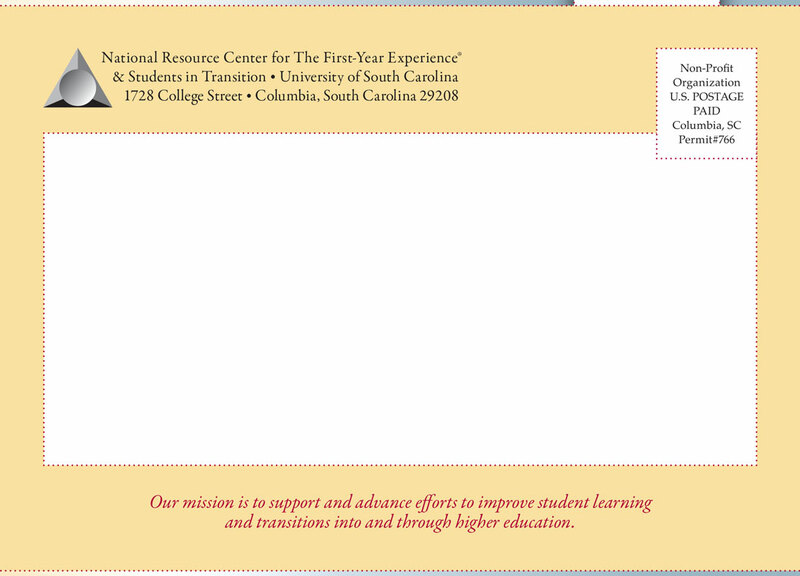 The Center needed a direct mail piece designed to snail mail out to prospective buyers. On this piece, I got to have some fun. It’s a trifold, meaning it folds in 2 places to make 3 panels – beneficial for sending out a lot of information but it folds small to a self mailer saving money at the post office. On the front I announced the revised book – exciting for those folks and made even more exciting with this design. On the inside I used an image of college students, because they’ve dedicated their careers to them and that’s what this book is all about – more appeal to the prospective client, now they feel like this is really for them. 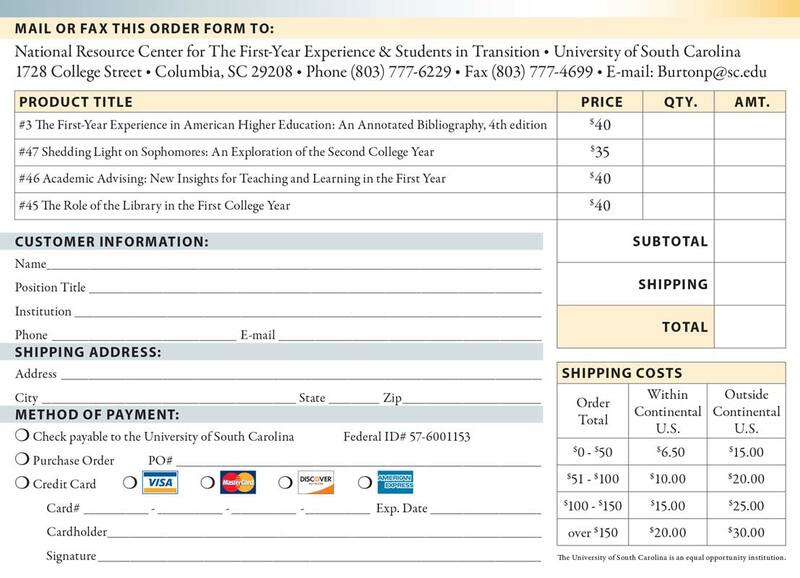 There’s an order form for those who prefer ordering offline and a link to the online landing page and order form for those more technically inclined. Click on the photo to open a gallery and see all the panels. Do you want to know more about my book cover design and layout services?